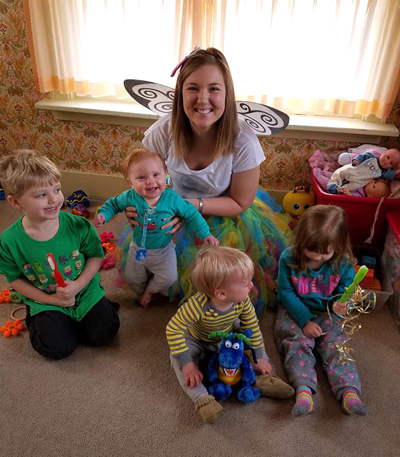 OWATONNA, Minn., March 3, 2016 – Southern Minnesota Initiative Foundation (SMIF) received a second grant for $60,000 from the Otto Bremer Trust to further its Early Childhood Dental Network initiative. It’s estimated 17 million U.S. American children don’t receive dental care on an annual basis, making dental care the most common unmet health need of children in the nation, according to the National Children’s Oral Health Foundation. Childhood tooth decay is yet another area more likely to affect low-income children. Children aged 2 to 9 living below the poverty line are twice as likely to suffer tooth decay and are twice as likely to have it go untreated, according to Oral Health in America, A Report to the Surgeon General. SMIF currently has 22 active Early Childhood Initiative communities and hopes to keep expanding the lessons learned from the two-year pilot programs to those communities, as well. SMIF joins three of its Greater Minnesota sister foundations – Initiative Foundation, Little Falls; Southwest Initiative Foundation, Hutchinson; and West Central Initiative, Fergus Falls – in developing a comprehensive Early Childhood Dental Network across rural communities in the state. Common issues already identified include a lack of dental insurance, especially among low-income families; lack of knowledge about the importance of early childhood dental care amongst parents and caregivers; a lack of dental providers willing to see children at the age of 1 or at the eruption of their first tooth (as recommended by the American Academy of Pediatrics and the American Dental Association) and a lack of access to dental providers, especially those who take Medicaid and county-based insurance plans. Visit www.smifoundation.org for details or contact Rae Jean Hansen (raejeanh@smifoundation.org) for more information on SMIF’s Early Childhood Dental Network. To get involved, contact Betty Uehling at buehling@newulm.k12.mn.us in Brown County or Ellen Haefner at ehaefner@northfieldschools.org in Rice County. For more information about children’s dental hygiene, SMIF recommends the American Academy of Pediatric Dentistry 2013 Survey: The State of Little Teeth.